According to former CEO of AppVee and AndroidApps Alex Ahlund, the average cost to develop a mobile app is $6,453 -- and the cost can skyrocket to as much as $150,000 depending on the complexity of the app. Wherever you fall on that spectrum, the money and resources you dedicate to conceptualizing and developing a truly great mobile app can all be put to waste if you don't orchestrate a proper mobile app launch. For the purposes of this post, we're assuming you've already created a great mobile app that will yield active users, and you're interested in making sure people know about it when it is released. Luckily, using inbound marketing, you can pull off a successful mobile app launch that costs more in time and planning than it does additional budget, and that will ensure your audience knows about your new mobile app and incites downloads. If you're aiming for a successful mobile app launch, you need to define what success looks like. Set some measurable goals around your launch. I recommend measuring success around your active install rate -- this tells you retention rate, or the number of people who install your app and then don't uninstall it -- the number of ratings you receive, your average rating in the app marketplace, and if you're selling your app, revenue generated from your app. To help you set some benchmarks, most free mobile apps have a higher active install rate during the first month, usually around 50%, after which it levels off around 30%. The average app store rating is a 3 (out of 5), for which you should certainly strive much higher to maintain a healthy active install rate. Pre-launch, claim your accounts in social media, and use them actively to generate interest like Android Photobooth did on Twitter. You can use your social media accounts to showcase the app while it's in development and solicit feedback and ideas from your future users. When your app launches, though, be sure to change the link in your Twitter bio to direct to the app store. Remember, your goal isn't site traffic; you want to drive downloads. And don't discount newer social networks like Pinterest for launching your mobile app -- the highly visual social network is the ideal place to show other mobile app developers your product in its final stages who may have some great suggestions for UI/UX improvements. Unless, of course, you're trying to beat a competitor to market! Finally, if you're a HubSpot customer, you can leverage another app -- the Facebook Welcome app in HubSpot's app marketplace -- to help with your mobile app launch on Facebook. Generate some pre-release buzz by customizing a page that lets people sign up for an alert when the app launches. We'll get into some fun pre-launch deals that will generate buzz around your app that you can associate with this email alert in Step 11. Spend time creating content that clearly explains how to use your mobile app. This content should include blog posts, press releases, social media content, website copy, and email marketing copy. You can pre-schedule all of this to go live on your launch day, though you should check in periodically on social media during launch week to provide real-time updates that pertain to support issues, reviews, and respond to user recommendations. Create a video that shows how to use your mobile app -- you can easily do this with a user-friendly program like Camtasia that allows screen capture and voiceover recording. Clearly explain what the app does and why it is useful in real-life scenarios in this video. Again, there are so many mobile apps out there, that differentiating yours will come down to clear communication in all of your marketing materials. A short video demo is one of the easiest ways to display the value of your mobile app. 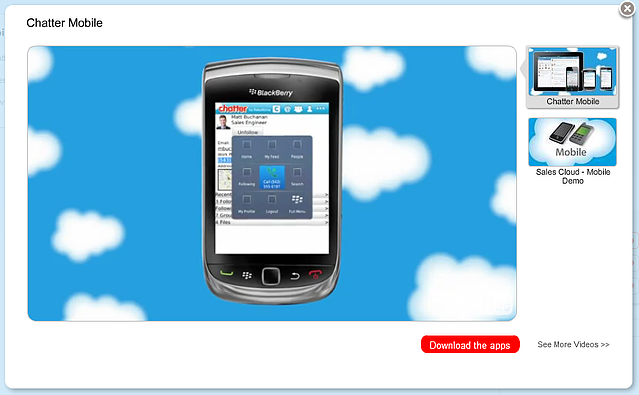 For an example of a fantastic mobile app demo, see Salesforce Chatter's mobile app demo video, which shows how the app works on the iPhone, iPad, and BlackBerry. You can launch either a dedicated website for your app -- more appropriate if your mobile app is a business in its own right -- or simply create a page for your mobile app on your website. The latter is what most companies who launch a mobile app choose to do. To complement your social media efforts, you should launch these pages even if your app hasn't yet hit the market. Direct users to this page of your site, let them view your demo video, and encourage them to sign up for a download alert email once your mobile app goes to market. 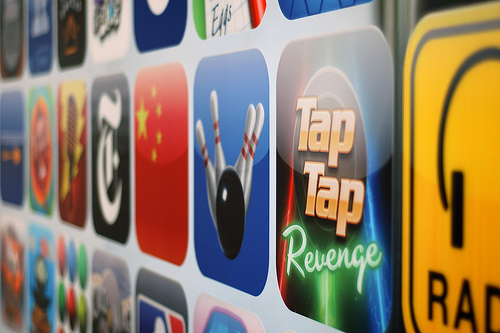 Mashable recommends choosing just one app store in which to launch your mobile app at first. This should help you get the highest concentration of users and ratings possible. Additionally, you'll be making lots of changes and improvements to your app during those first few weeks after launch, and having your app in just one store will help you streamline those updates as they roll out. Once your app is more established, feel free to expand it to more app stores. The most common app stores are the Android Market and the Apple App Store, though there are many other app stores out there (even HubSpot has its own App Marketplace!). Reach out to other app developers that have created an app that could be complementary to yours, and whose users might also like to use your app. You could set up a mutually beneficial co-marketing opportunity that helps you both increase your install rates. Just be sure to select developers who have great ratings in the app store; you don't want to associate your app with a bad product. Pitch your story to tech, mobile, and industry journalists and bloggers. Be armed with the video demo you recorded, and be prepared to give them a free download of your app so they can get to know the interface and your app's capabilities. Make yourself readily available to them to answer any of their questions, and consider them another test group who can find bugs and make UX/UI recommendations. You should start pitching at least a few weeks in advance so they have time to experiment with your app and write a compelling story without being rushed. Plus, the more time they have, the more likely they can fit you into their editorial calendar. Reach out to your business network and ask them to share your content about the app's impending release socially. Send your network a sneak preview email with a link to your demo video so they can see how your app works, and include social sharing buttons to make sharing your content simply. This is also a great recourse for bloggers and journalists you've contacted who aren't willing to publish long-form content about your app; you can ask them if they'd be willing to tweet a blog post you've written about your app instead. Because of the Google algorithm's freshness update, you might gain some organic search tractions at your mobile app launch. Complement that search presence with some paid advertising during launch week. You can also set up paid, targeted ads on Facebook to drive users to your Facebook fan page, where they'll be greeted with your welcome screen encouraging them to sign up for your mobile app (see Step 2). Before you take your mobile app live to the public, consider an invite-only beta launch. Websites Spotify, Google+, and Pinterest have used this tactic with great success. It not only creates an air of exclusivity that generates buzz around your product, but it also lets you get feedback from a trusted network so you can fix bugs and UX/UI problems before rolling your app out full scale. You can use the email list referenced in Step 2 as your pre-launch beta test group, and supplement it with an email marketing send to a segment of your current customer list that would benefit from using your mobile app. You can position the launch as free, exclusive access to your mobile app before it launches, and even ask them to write a review of your app in exchange for that free, exclusive access. This step is for when you're ready to go live to the public. Put links to download your mobile app on your blog, your website's home page, in your marketing emails, and on your social media accounts -- you can even add a mobile tab to your Facebook page. Take a look at Zappos' mobile app page below, which includes three calls-to-action on just one page, all of which are to download its mobile app. Finally, monitor peoples' feedback about your app, and strongly encourage users to post reviews. It's not just that the apps with the best reviews get the most visibility and downloads; this process helps you identify bugs you wouldn't otherwise know about and make quick changes to improve the user experience and make your app stickier. Keep users updated on your progress as you make it so they know you're listening and responding to their feedback. 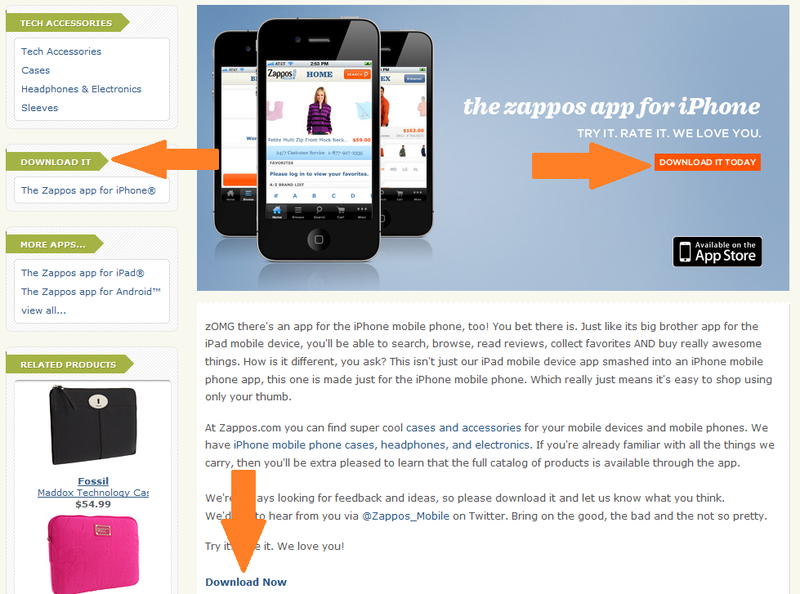 For two examples of mobile apps taking the feedback and review process seriously, take a look at Zappos and Salesforce. 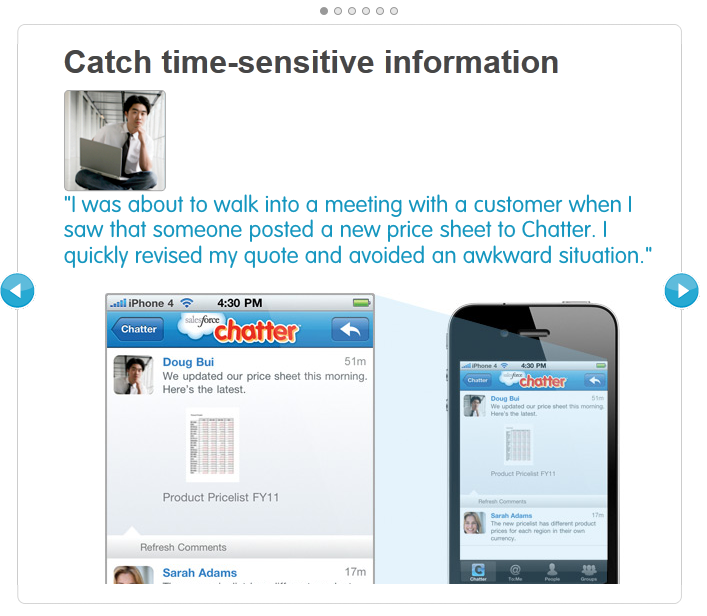 Salesforce includes user reviews not only in the app store, but also on its website. This review shows a real-life application of its mobile app helping a customer. Zappos takes encouraging feedback seriously -- the copy on the mobile app page of its website asks people to tweet at them on their mobile-dedicated Twitter account with recommendations to improve the app. Plus, Zappos' tagline says it all: "Try it. Rate it. We Love You." 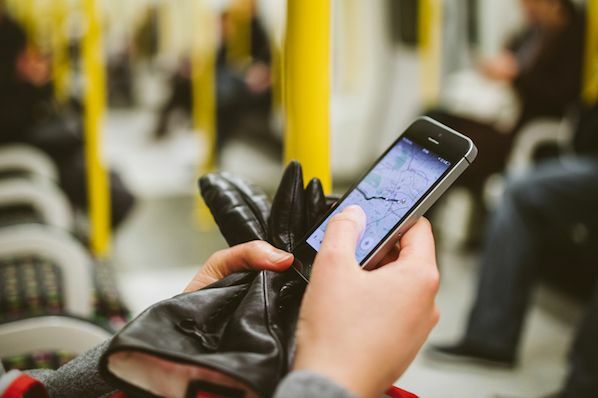 Are you creating a mobile app, or have you successfully launched a mobile app before? Share your tips below! Are Notifications Driving Us Crazy?